“Special Prayers help amplify your growth during this auspicious time to attain a life of clarity, purpose, fulfillment, and bliss.” — Alice Branton, CEO Trivedi Global, Inc.
Guruji Mahendra Trivedi is an innovative thought leader offering fresh, insightful, honest perspectives on today’s issues affecting humanity at practical and spiritual levels. Founder of the Trivedi Effect®, Guruji Mahendra Trivedi will offer ‘Special Prayers’ October10-20, 2018. The sacred program of ‘Special Prayers’, inspired by Navratri, is a mystical time when Divine Energy is at its peak and opens a window of unprecedented opportunity for growth. “These 11 nights of powerful prayers are to honor the Divine to grace us with profound and elevating shifts of development, leading us to greater prosperity and happiness in all areas of our life,” said Trivedi Global Inc. CEO Alice Branton. Guruji Mahendra Trivedi also delivers powerful workshops to deepen the participants’ connection to the God of their understanding, as well as, to illuminate the path of awareness and higher consciousness as they learn to navigate and achieve their life’s purpose, fate, and fortune. In a recent Trivedi online workshop, Guruji Mahendra Trivedi discussed humanity’s levels of consciousness and the journey of becoming alert, aware, and awake. He also expanded on the concept of Ownership and Accountability in daily living and work situations. His unconventional viewpoint and insight lead to a better understanding between Divine and humanity. Trivedi addresses innovative and thought-provoking topics at each workshop. 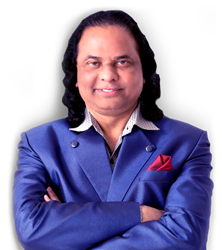 Guruji Trivedi tackles the questions that have plagued mankind since its inception such as Scientific Proof of God’s Existence and Life Purpose. Recently, he addressed the most common issues affecting humans today including sleep disorders, anxiety, OCD, ADHD, and other issues in the realm of physical, mental, and emotional health in addition to spiritual topics including transformation. “I am very grateful for the past weekend and the fire ceremony, for today, and for upcoming Special Prayers. As always, my words are not enough to adequately express my gratitude,” said Jan Kinney.